Women can benefit from personal training that is strategically developed based on their specific needs, current fitness level, fitness goals, and personal limitation. Women can feel more comfortable in a gym setting knowing that someone is there to make sure every exercise is done right and with good form for the most benefit. Women often complain about arms, hips, and abs. With the help of a certified personal trainer in Canton, MA, you both can create a program that focuses on ab and arm sculpting if this is what you'd like to focus on. Tightening and toning all the muscle groups will happen faster with an exercise plan and fitness goals. 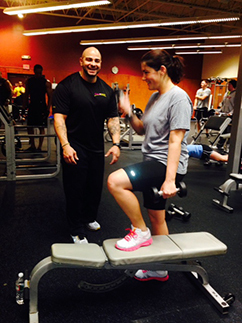 Women’s personal training routines are structured so you have a plan and a challenge when you arrive at the gym. In addition to the routines, you can also devise a nutrition plan with your trainer to complement your full-body workout plan.